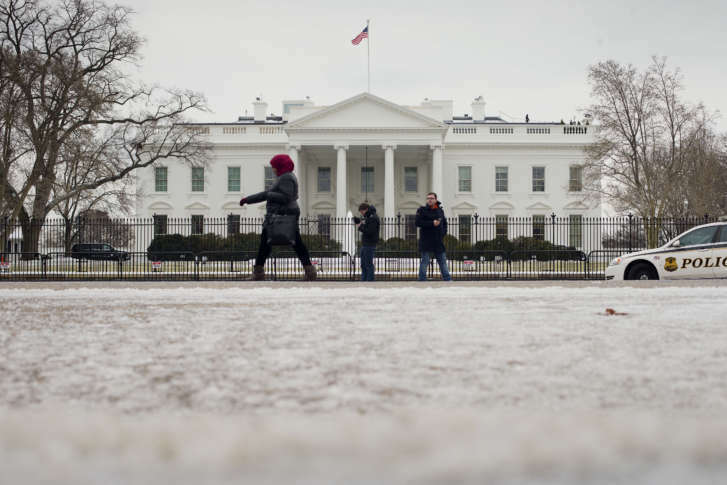 The D.C. area has seen less than a third of the amount of snow it normally gets at this time of the winter. How bad has it been, and what's behind it? WASHINGTON — It’s the bottom of the sixth inning and winter weather has only gotten on base a few times. Warm-weather fans have high hopes for a shutout in Washington. The total snow score at Reagan National Airport this winter? A measly 3.1 inches, most of it falling in paltry doses. By this point in an average winter, D.C. should have seen over 10 inches, according to climate data maintained by the National Weather Service. Up until recently, precipitation in general had been hard to come by. Recent sleet and rainfall in the past week has stabilized the escalating drought, but the precipitation deficit persists as the growing season draws closer and the snow drought drags on. So far, this season appears to be following in the footsteps (not foot prints) of last winter, which only yielded 3.4 inches of snow. No measurable snow fell last February, and just a trace has been recorded this month. Despite being the shortest, February is typically the snowiest month of the year for the region, with a total accumulation of 5.7 inches expected for the District. Dulles Airport averages 7.8 inches for February. The northern and western suburbs have seen slightly more snow, but the tallies are still lower than normal. “This winter our storm track just hasn’t been favorable to get snow in our area,” said Storm Team 4 meteorologist Amelia Draper. Draper said the large-scale weather pattern over the North Atlantic Ocean can shunt storms straight out to sea or drag them northward as snow-packed nor’easters. “What we’ve seen is a positive North Atlantic Oscillation, a pattern that we monitor. We really want the NAO to be negative to get more storms moving into our area,” Draper said. Chance is still alive for diehard snow lovers. The long-range weather pattern over the eastern U.S. and Atlantic Ocean is forecast to become slightly more favorable for coast storms by the middle and end of the month. Several recent winters have featured measurable snowfall during March as well, including last year. 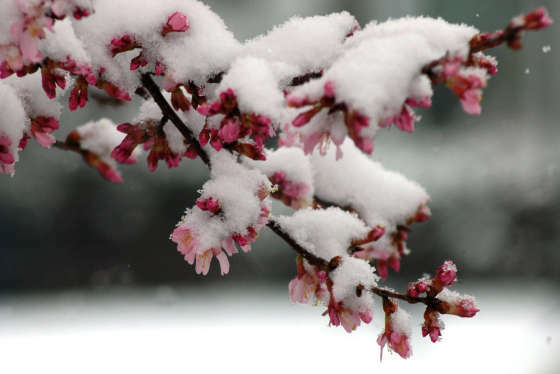 A few winters have delivered much more late-season snow: The 1993 March Superstorm blindsided fair-weather fans in D.C. just days after highs near 60 degrees at the tail end of a winter that had only seen a few inches. As we approach the anniversary of the Blizzard of 1983, it’s also worth remembering that D.C. owes its average 15.4 inches of seasonal snow in part to the prolific snow producers that zero in on the Mid-Atlantic once in a blue moon. Curiously, virtually all of Washington’s most memorable snowstorms, including the 1993 Superstorm, occurred on a Friday or on a weekend. For the underdog, a late-season comeback is still possible.